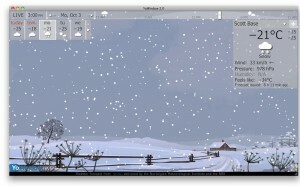 YoWindow Weatheris a Mac App developed byPavel Repkin. This weather app provides local data on temperature, conditions, and a forecast for the coming days. Weather data is provided by the National Weather Service in the US. 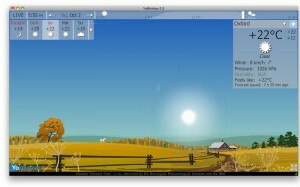 YoWindow Weather’s main feature is its scenic “window” design. The app supports 1400+ picture based landscapes. These animated landscapes are really beautiful, and quite serene. The animated landscapes change with the current conditions. If rain is predicted, then you will see and hear rain falling over the landscape. 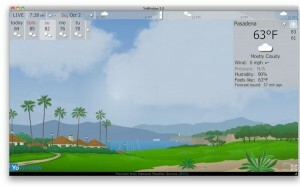 If you prefer a less cluttered weather app experience, you can just have the YoWindow app run from your menu bar. It will display the current temperature, but nothing else. At start-up, you can select your country, state, and then local weather station. Some users might be dismayed by the lack of specificity when it comes to picking your location. Selecting “All locations” did give me better results, but many rural places were still not on that list. It would be nice to be able to input ZIP or postal codes, rather than using a drop-down menu of cities to select your location. Overall, YoWindow Weather is a solid option for anyone who wants to set up a desktop weather monitor. You can also use your own photo to create a landscape, which is cool! 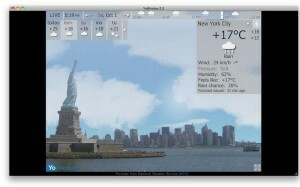 If your ideal weather app takes up an entire window, has scenic animations, and provides both current conditions and a 5-day forecast, this is probably the perfect app for you. This is the ideal app for weather junkies who want a more visual weather experience. 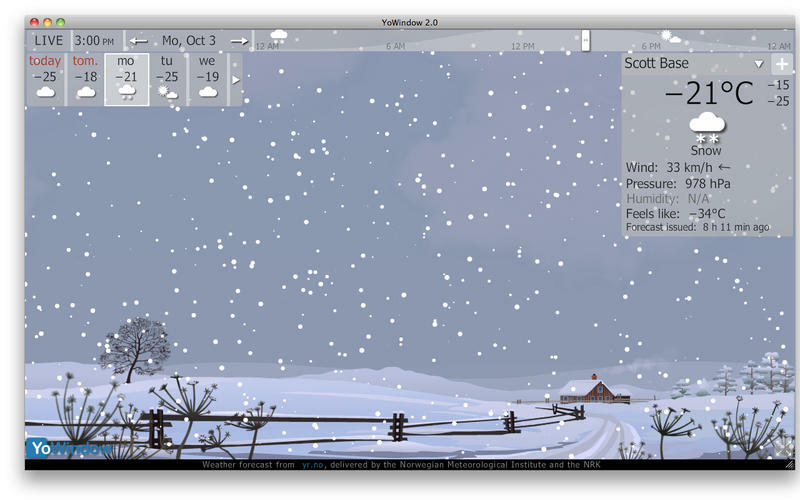 YoWindow Weatherrequires OS X 10.6 or later.